So, Griffin has a new phase. I’m calling it the “Let there be light” phase. He walks around the entire 2200 sq. foot house and turns on EVERY SINGLE LIGHT. Kitchen, dining room, living room, bedrooms, bathrooms, hallways, porch, office, laundry room. All on. He would turn on the flashlights too, if there were any that he hadn’t already broken. To make it worse, he gets really angry if you start turning them off. My explanations about it being the middle of the day holds no water. The argument that this is costing us money doesn’t shock him. So, I’m left with the “Because I said so!” approach. Yes, he lights up my life. And also the frustration centres in my brain. Any bright ideas? Illuminating thoughts? 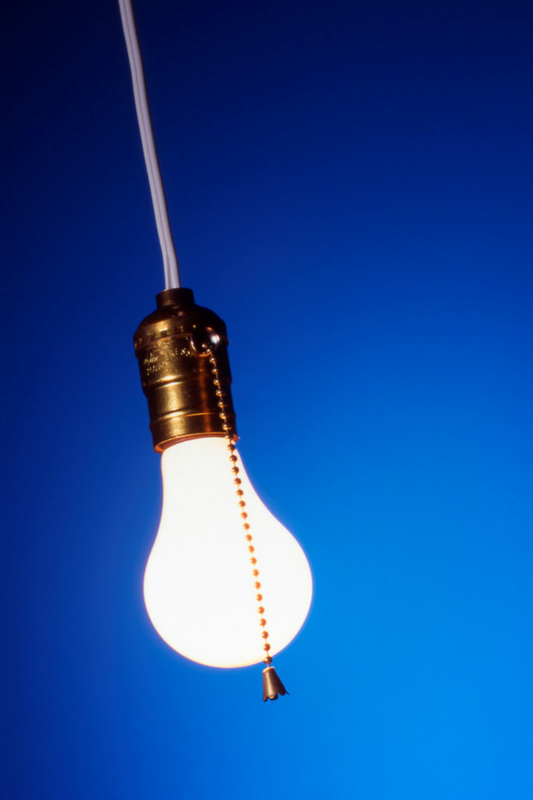 Light bulbs of inspired parenting moments to share? I’m sorry, sometimes I can’t help myself. This entry was posted in Minor notes in the celestial chord, Mothership, Sun and tagged electronics, family, Humor, kids, parenting. Bookmark the permalink.